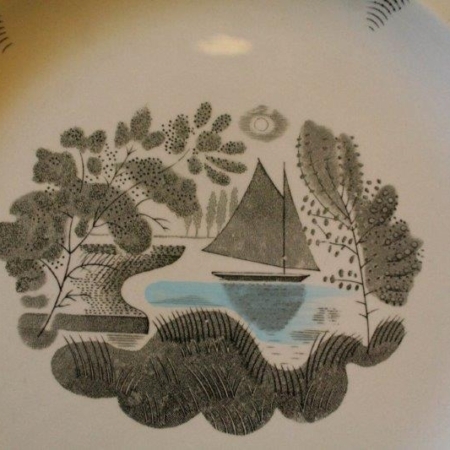 One of the finest British artists of the 20th Century, Bawden was a painter, illustrator and graphic artist. 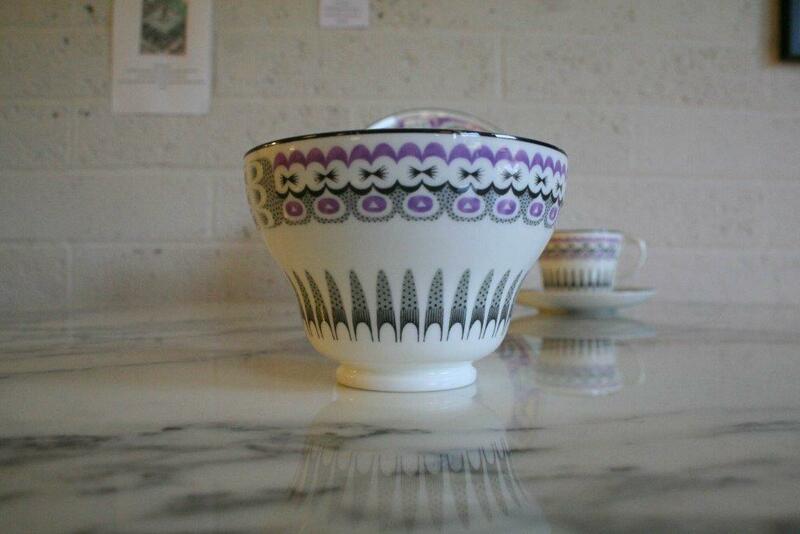 Best known for his stunning linocuts, he also produced book covers, posters and ceramic designs for Wedgwood. 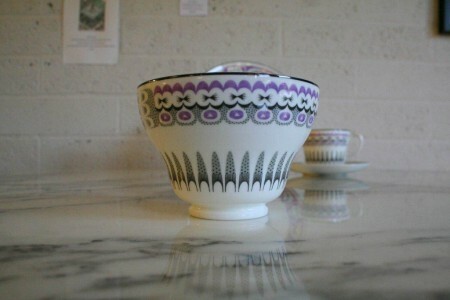 Bawden worked as war artist, was awarded a CBE in 1946 and was an Associate of the Royal Academy. 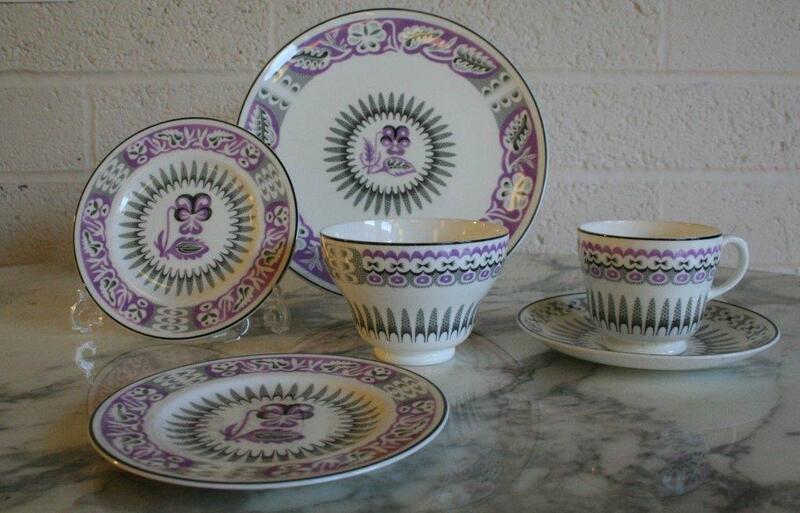 Bawden’s pieces for Wedgwood date from 1952 and were designed for the Orient Line shipping company. 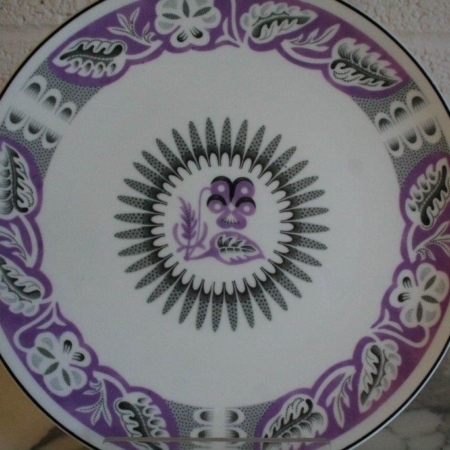 They depict a Heartsease or Viola and are amongst his finest designs. 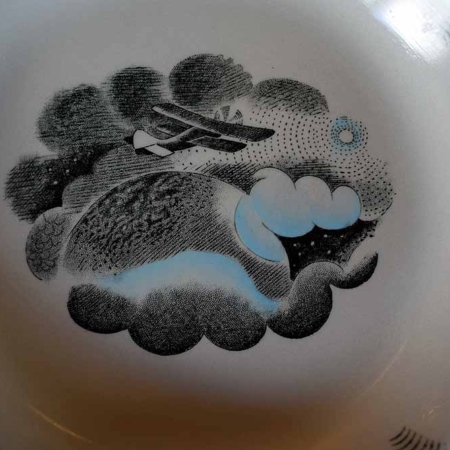 This bowl here is a beautiful example of the delicacy or Bawden’s designs. 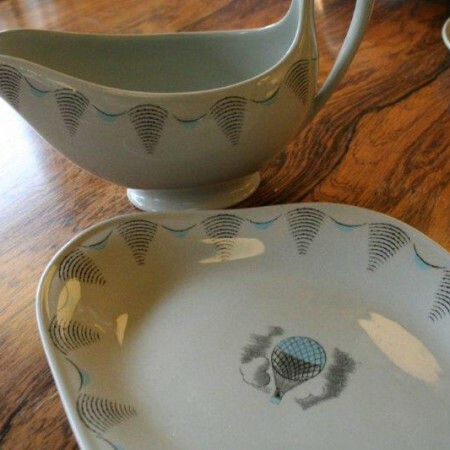 In excellent condition – no issues.